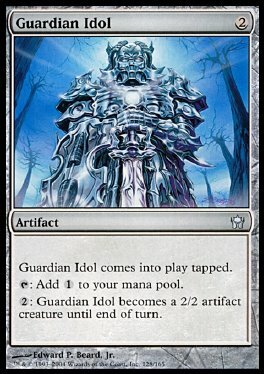 Guardian Idol comes into play tapped. T Add 1 to your mana pool. 2: Guardian Idol becomes a 2/2 artifact creature until end of turn.